Illinois has become the most recent state to sue the company that makes Oxycontin, an opioid prescription drug, joining a growing number of states and municipalities pursuing legal means to grapple with the opioid epidemic. 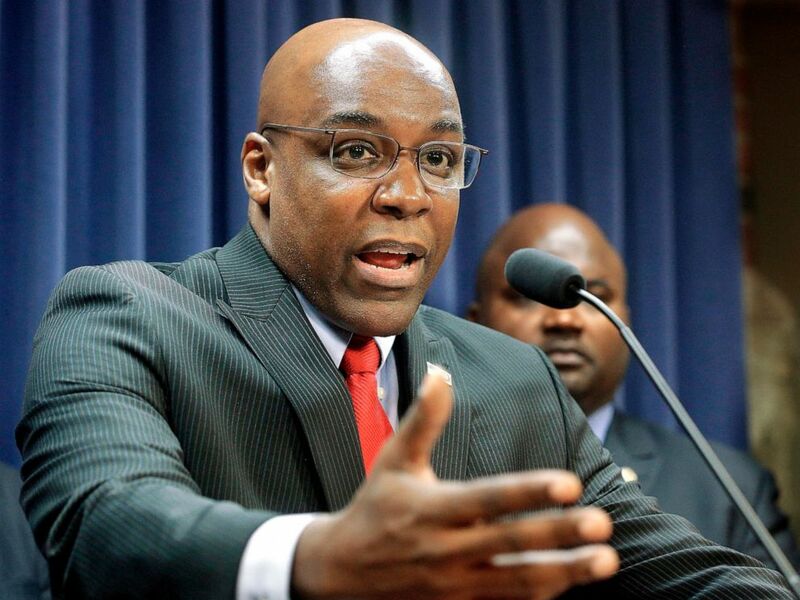 Attorney General Kwame Raoul filed a lawsuit against Purdue Pharma on Monday, citing "its deceptive marketing practices designed to significantly increase prescriptions issued for opioids," his office announced in a press release. "Purdue carried out an aggressive and misleading marketing effort to increase prescriptions of opioid painkillers even as communities throughout Illinois and across the country faced an opioid addiction epidemic," the statement read. Kwame Raoul speaks during a news conference at the Capitol, in Springfield, Ill., Aug. 12, 2015. Purdue Pharma has denied these claims. "The company vigorously denies the allegations in the complaint and it will continue to defend themselves against these misleading and damaging allegations," the company wrote in a statement to ABC News. Opioid manufacturers are facing thousands of similar lawsuits from cities, counties and states accusing them of aggressively marketing opioids while downplaying the risk of addiction.The Illinois suit is notable for only suing Connecticut-based Purdue. On March 26, Purdue settled the first of these type of lawsuits for $270 million with the Oklahoma attorney general, who earmarked the funds to go to a national addiction research and treatment center. The other defendants in Oklahoma’s lawsuit, pharmaceutical companies Teva and Johnson & Johnson, are expected to go to trial on May 28. "Illinois might think that Purdue would be an easy target because the company was willing to settle with Oklahoma,” product liability expert and University of Kansas law professor Richard Ausness told ABC News. “Illinois can always sue the others later, depending on how the rest of the Oklahoma litigation plays out." Purdue Pharma also allegedly targeted doctors it knew had "addicted patients and whose patients were diverting drugs for unlawful use," according to the Illinois attorney general's office. As a result, Raoul claims that Purdue’s tactics tripled prescriptions of its opioids in his state. More than 130 Americans die from opioid overdoses every day, according to the Centers for Disease Control and Prevention. As part of its lawsuit, Illinois is looking to prohibit Purdue's marketing practices for opioids, and assign penalties against the company. It is also asking that Purdue pay back money it made from allegedly deceptive practices, and pay for the cost of the state’s opioid abatement efforts.